A hilarious and heart-warming debut and the perfect girl's night in. For fans of Summer at Shell Cottage and Game of Scones. LOL funny!! After a terrible day on the set of a cult TV sci-fi series where she has proved herself to be the antithesis of feminine poise and embarrassed herself in front of heartthrob actor Dillon O'Hara, she plonks herself down in front of her trillionth viewing of Breakfast at Tiffany's. Relaxing on her battered old couch, salvaged from the props department by her best friend Olly, Libby is gob smacked to find actual Screen Icon, Audrey Hepburn, sitting beside her. 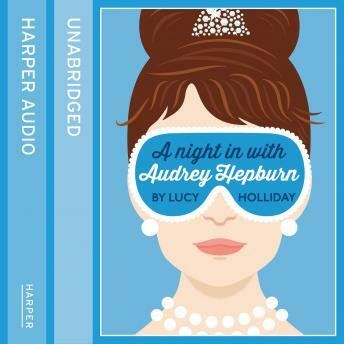 Dressed in her little black dress, wearing her trademark sunglasses, Audrey proffers advice to the hapless Libby between ladylike puffs on her vintage cigarette holder.